Last year – the news from home was bleak and it broke my heart daily. I doubt there is a person in this room who has not been touched by the tragedy of the Ebola virus. For all the victims of Ebola, and all those who never got a chance to fulfill their potential in our beloved Sierra Leone, may you rest in Eternal Peace! And now, whilst we are not entirely out of the woods, victory over this monstrous virus is nearly at hand. As the battle against the virus is being won, we must redirect our collective energy to the task of rebuilding and unifying the nation. We all carry with us a history, but today I speak not as a retired Brigadier – not as the flag bearer of my party at the last election – and not as a former head of state. But simply as one of you – a member of the diaspora dreaming of home and planning for a better future for the land that we love. A homeland that should be a better place, than it is today. I believe every single person is extraordinary, and I believe that it is possible to unleash the potential locked in each and every individual, no matter who they are. I am not here to make promises, nor do I want to give the impression that I have a monopoly on the ideas that will give Sierra Leone forward momentum in the march towards development. In fact, there are no silver bullets or magic wands for our national problems. No Messiah is coming to save us. “I am my brother’s and sister’s keeper”. And you, my brothers and sisters, keep me. There is a common humanity which binds us all together. The patriotic spirit that binds each and every person in this room and fills our hearts with a deep love of our lush green homeland, is the thing that will make our home better tomorrow, than it is today. Oneness, faith and service to each other and to our country. That is my mission, and I would like to share it with you all. The diaspora here in the UK, in America and across the world has so much to give in this mission. Those of us, living in the diaspora, sent back home a whopping 100 million pounds in remittances. An incredible sum of money by any stretch of imagination. On behalf of everyone back home, let me thank you all from the bottom of my heart. So, I know there is a love of family and nation in this room and across the diaspora, and I can feel it. This week, I had an opportunity to speak to a young countrywoman of ours that I met at the library, she’s training to be a doctor in obstetrics and gynaecology, right here in London. I wish her well and Godspeed in her studies. But, my greatest wish for her – after she completes her studies – is to return home, because our needs are so great that, every able-bodied man and woman with a love of country in their heart needs to be with us in this fight. The countdown to zero case of Ebola is close, very close and the hard work of rebuilding our deeply scarred society will begin in earnest. The scourge of Ebola has seriously tarnished our image as a nation, and we need to clean it and make it shine again. We all have individual dreams, hopes and aspirations, but now, it’s time to come together and work together, as one people, one nation. There is no Red North or Green South in this herculean task of rebuilding our beautiful homeland, there is just one Sierra Leonean family, one nation. 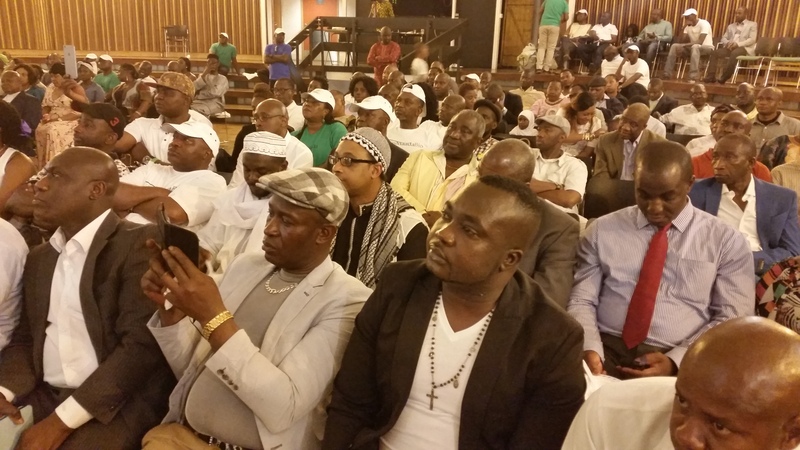 That is why I’m so delighted to see many Muslim brothers and sisters during this holy month of Ramadan, because we are not a country divided between Christians and Muslims, we are just one Sierra Leonean family, we are one nation. So we should not allow politics and politicians to divide us. But I want us to start working together today, to make a plan for the nation’s future, a plan for a compassionate Sierra Leone that cares not only for the haves but also for the have nots – those at very bottom of society. A plan that is firmly anchored on national cohesion and societal harmony. A plan to hardwire fairness into the fabric or our society. As a nation, we should learn and unify from our shared past experiences if we are to make progress. Non-the less, we should always look to the future with a view to improving it. When we marry our hopes and dreams with hard work, and give optimism a touch of reality, it is possible to tailor and target our interventions, so as to deal with the specific needs of diverse sections of our society, thereby averting the likes of the Ebola epidemic from ever happening again. We can start by recognising a simple truth: Government (big or small) is not the answer to all our problems! All citizens must take on more responsibility for their own families and communities. We must empower ourselves to take the initiative at the grassroots level and seek solutions for the common challenges we face in our respective communities, towns and villages. At the national level, we must have a plan that changes the very philosophy of our national educational system. From one that churns out graduates with degrees that are not directly relevant to development in the 21st century, to one that adequately equips the next generation of Sierra Leoneans with knowledge and skills that are fit for purpose in a globalized world. A plan with a major investment component for developing our human capital. This means investing in quality education for all; because education is good not only for personal development, but also national development. We all know the adage that “learning is better than silver and gold”. As a community with shared values, challenges and opportunities, we must endeavour to work together to discourage all forms of discrimination, curb hate, and foster tolerance and understanding, and simple respect for one another. There will always be fault lines and schisms in any society, which if not properly-addressed, will constitute the root cause of the next conflict. To prevent these dangers, we must work together with a shared vision to build a sense of national identity and pride, which we seem to have lost. To achieve this golden aim, I want the diaspora to take the lead in promoting the process of national and inter- communal dialogue, in order to ensure sustainable and just peace in Sierra Leone. We can’t just talk to folks who look like us, sound like us and even walk like us. We must reach out to even those members of the Sierra Leone diaspora that we seldom see eye-to-eye with. Misunderstandings and fear grow in the absence of dialogue and engagement. Facilitating peaceful co-existence among the diverse sections of our society is a process we can no longer postpone. The fact that it provides a stable and predictable political, social and economic environment for ordinary Sierra Leoneans to pursue their life-long aspirations and dreams, is a good enough reason. But aside from that, it has a direct impact on economic growth by encouraging the flow of foreign direct investment. For your information, capital or (FDI) is a coward per excellence, it stays clear of any country where there is no stability. But we need a large amount of capital and need it now. So it is incumbent upon us to create those conditions that will make Sierra Leone the favourite destination for FDI. Our dreams of a peaceful, and prosperous Sierra Leone will not come to reality, until and unless we join together, reconcile our differences and competing interests and demands. I accept that there are people who would not like me, people who do not believe that I am best placed to lead our nation. That’s ok by me! Freedom of speech and the right to hold an opinion are sacred tenements of our fragile democracy. We must all swallow hard, and learn how to disagree without being disagreeable. You can take everything away from me, but you cannot question my patriotism, nor take away that fact that I have served my country at great personal risk and contributed to the restoration of peace and democracy to that land that we all love. I love my country, and I am ready to work with any and all who are prepared to put our country’s needs above petty rivalry, animosity, grievances and unresolved misunderstandings. Let me end with a quote from the Quakers: “Every step to diminish fear is a step towards peace’’. It is my ardent hope that true peace and love will reign once more in Sierra Leone and give birth to a renewed sense of optimism for a brighter future for all our children. It is unfair to continue to berate and hold Bio responsible for the execution of alleged coup plotters by others in his regime, who did not take direct orders from Bio despite he being the leader. Those responsible for the killings: Sergeant Musa and others should have faced justice if they were alive today. But be that as it may, Bio has on several occasions apologised for the heinous crimes committed by soldiers in his regime. Is that not enough. The TRC report does not hold Bio responsible for any wrong doing, unlike Johnny Paul Koroma whose brutal AFRC was given oxygen and material and financial support by president Koroma, Frank Kargbo – now attorney general, presidential adviser I.B. Kargbo, the current VP Foh, and several others who are now freely governing the country. Let us be careful how we define, set and apply those standards with which we hold our leaders accountable for past wrongdoings. Bio was the leader of the military regime – yes, but was not responsible for the execution of anyone. He is just as free to contest any election in this country as much as Ernest Koroma who was one of the sponsors of the AFRC that was responsible for the deaths of thousands of our brothers and sisters here in Freetown. It is up to the members of the SLPP to decide if they want Bio as their presidential candidate for 2018 and for the people of salone to decide whom they want to rule them. And I can assure you that the fate of those alleged coup plotters will not be a factor in that decision. Clearly your concept of leadership and collective responsibility suggests that your understanding of leadership and your aspirations for the Sierra Leonean people are sub-optimal. Personally, I do not subscribe to the unnecessary fetting and adulation that is bestowed on politician as you seem inclined to do. Maada’s vision, values and track record must be scrutinized if he wishes to put himself forward as a presidential nominee. I make no apologies for doing so. If you think that his past (especially when the period between 1996 to date has been a complete vacuum) is not going to catch up with him during the campaign for the nomination and for the election – then you are completely delusional. I am not going to be drawn into a debate about the 29 because I am not sure that you are appraised of the facts or evidence to determine that they were coup plotters. You can only draw such a conclusion if you subscribe to the view that summary executions without trial and without the opportunity to test the allegations against you is justifiable. That people with your mindset are the people that Maada’s campaign attracts – should be deeply concerning to the majority of Sierra Leonean as it reveals a reckless disregard for human life. Just so that we are clear – I am not selective in whom I criticise and I am neither red or green. I believe that Sierra Leone deserves leaders who have a genuine interest in advancing the country and the welfare and livelihood of all Sierra Leoneans. 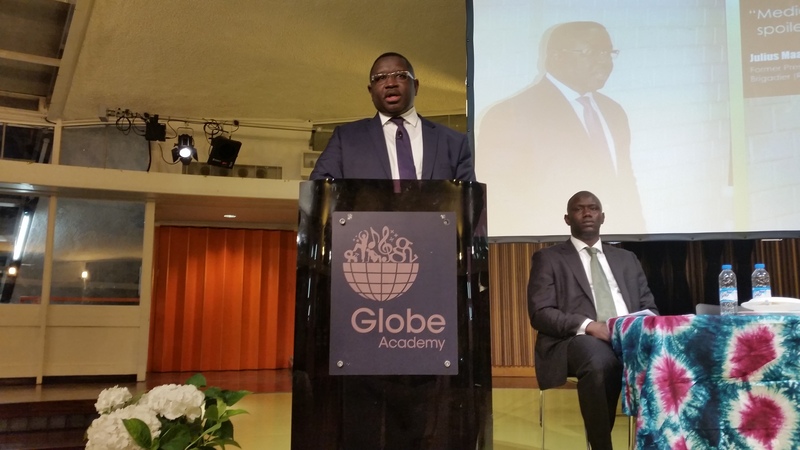 So there you go – Maada Bio has set out his vision for Sierra Leone. It is only appropriate then that we should carefully analyse the well chosen words, which clearly have been ghost written for this presidential aspirant, . So Maada starts by acknowledging all the victims of Ebola, and specifically all those who never got a chance to fulfil their potential in our beloved Sierra Leone. I echo these sentiments, but it would be true to say that the same sentiments should go to the 29. This issue is never going to go away – no matter how much Maada may wish it to be forgotten. It goes to the heart of why he would not command the support of the majority of Sierra Leoneans. The speech fails to address the specific problem of corruption and patronage which is the critical issue which hampers Sierra Leone’s development. There is no reference to the corruption or transparency or graft; and in failing to mention these words, it would suggest to many that Maada does not have a genuine commitment to addressing these challenges. Ed Milliband lost credibility when he gave an unscripted speech and failed to mention the deficit. Maada’s failure to address this issue would suggest that he lacks the competencies and capacity to bring about the change that Sierra Leone so badly needs. Sierra Leone’s educational system is not dysfunctional because it does not equip Sierra Leonean graduates with the skills appropriate for our development. It is dysfunctional because for decades politicians and public servants in the education ministry have siphoned allocated funds to their personal bank accounts and have done so with impunity. It is dysfunctional because these same public servants hijack salaries, increments and benefits due to teachers and in turn in order to make ends meet, teachers take bribes and demand sexual favours from their students. And this practice which is so endemic is accepted as the status quo. The widespread prostitution of young girls in Sierra Leone should be a stench to the nation – but who cares. These issues do not make the editorials of Sierra Leone’s newspapers. Maada acknowledges the financial contribution through remittances that diasporans contribute. However he does not tell us what should be done or would be done to ensure that we have ready access to justice – so that when our hard earned investments in Sierra Leone are compromised by unscrupulous family, friends, government officials (especially at the ports), policemen and women, dodgy insurance companies, or business associates – that we would get recourse and recovery through the courts. 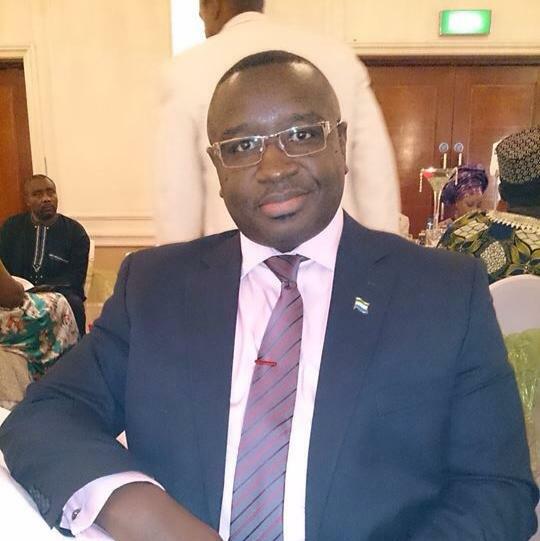 FDI is not the only coward who would not invest in Sierra Leone – diaspora Sierra Leoneans also do. Maada talks about fault lines in our society which if not addressed will result in more conflict. The fault lines are not necessarily about the Red North or Green South or Christianity or Islam. Sierra Leone has always been a tolerant country. The real issue is the disconnection between power elites (who like Sierra Leone as it is and want it to remain so and are prepared to frustrate the desires of the nation as a whole – so that they can continue to enrich themselves) and the disenfranchised who do not have people to speak up for them (principally because our chieftaincy systems, journalists and pressure groups have become polluted with the same endemic corruption that Maada has failed to address in his speech). Our churches no longer provide the voice of one crying out in the wilderness because pastors have become consumed with the same naked opportunism and greed. It is this failure to recognise that the needs of the disenfranchised cannot be overlooked while a few prosper, that will be the tinder box for future conflict. The divisions that Maada refers to are created by politicians who reinforce their power through patronage and both APC and SLPP subscribe to this form of politics. Maada informs us (in the diaspora) that the patriotic spirit that binds each and every person in this room and fills our hearts with a deep love of our lush green homeland, is the thing that will make our home better tomorrow, than it is today. I beg to differ and would question whether we are indeed patriotic. I would imagine that in the room were those who would fall into the category of “ministers in waiting” or “permanent secretaries in waiting”. Those who have not fulfilled their ambition in the UK or elsewhere and would relish the opportunity to preside over a departmental budget to compensate for their unfulfilled lives. 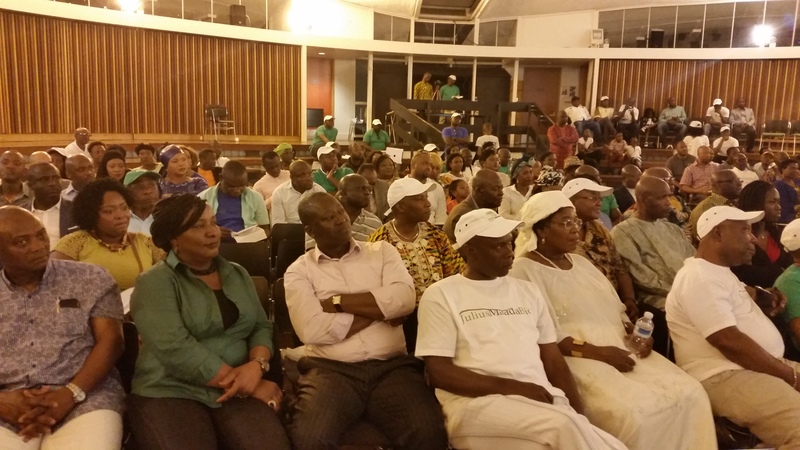 I would imagine that in the room, were SLPP members who view politics as a zero sum game. APC has been in power for the past 8 years and the gravy has not been flowing. Once the SLPP is back in business, the gravy would flow again. Maada describes his encounter with the young girl of Sierra Leonean parentage who is studying obstetrics and gynaecology here in the UK and hopes that she will return to Sierra Leone to pursue her career. The question is what are you offering her that would persuade her to forego a potentially very lucrative and rewarding career here in the UK if she was to throw all her lot into Sierra Leone, when as a former head of state, you are yourself not currently resident in Sierra Leone? Why would she sacrifice her career, if she has listened to her parents, uncles, aunt, grandparents and family friends constantly debate Sierra Leone’s future for decades without any sign of genuine and sustained progress? Why would she go to Sierra Leone, if those who return, do not remain permanently in Sierra Leone – but instead return with one foot in Freetown and the other in London? Maada tells us he has a plan, but his speech was littered with clichés and lacked substance. We need to hear about tangible measures that he would put in place to first bring an end to the endemic corruption in Sierra Leone. We need to know what his economic plan is and how he would ensure that we create the environment for inward investment that would result in skills development among our youths and sustainable jobs. He needs to articulate how we are going to become self-reliant, producing the majority of the food we need, how we are going to ensure access to clean water supply and improve sanitary conditions in the country and by doing so reduce the incidence of disease. 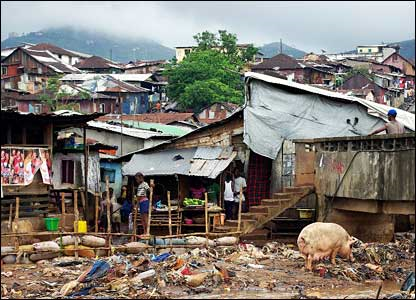 One thing we can agree on is that building Sierra Leone is a herculean task. But I am not sure that a person who has not held a public office or engaged in meaningful private endeavour since 1996 is best placed to guide Sierra Leone overcome the Kilimanjaro of challenges that the country faces. Furthermore, Maada must recognise that he cuts a very divisive figure and his previous baggage – however much he dresses it up as an achievement, will not be acceptable to the majority of Sierra Leoneans. Perfectly articulated and absolutely to the point. The people are the heart and the future of Salone. The ruling class are disconnected. The ruling class in the diaspora more so. Sierra Leone is a one party state with two sides of the same coin. It needs genuine multi-party democracy with genuine leaders taken from the people at the helm. It will take time, but it’s the only way to build.